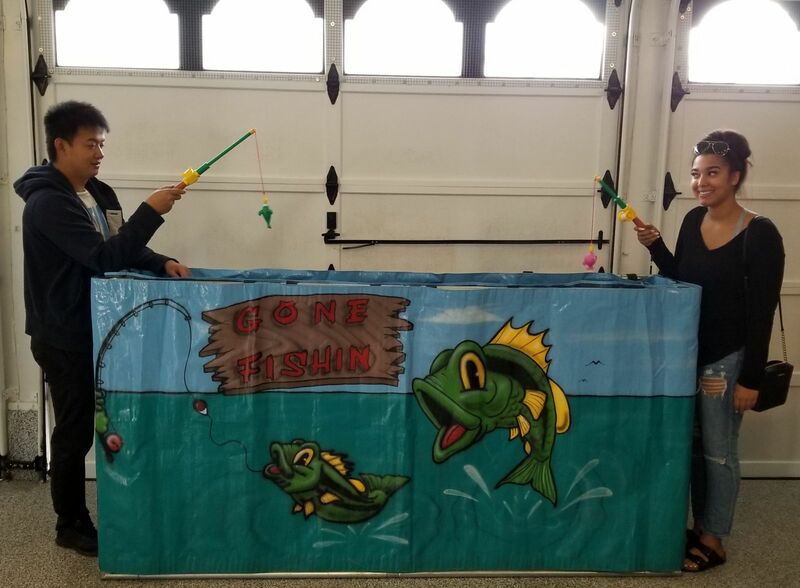 The Gone Fishin' frame game is a free standing carnival style frame game with wild and colorful graphics. 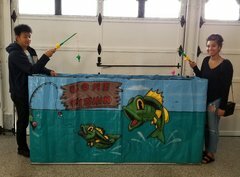 This cute and colorful Carnival style frame game will appeal to young and old at your event. 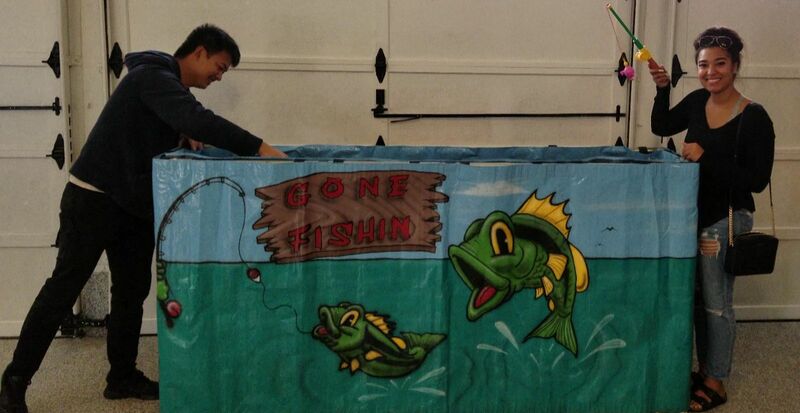 Try to catch the puffer fish with the magnetic fishing rods. This game can be used indoors and outdoors. Hours of fun and entertainment for all ages.